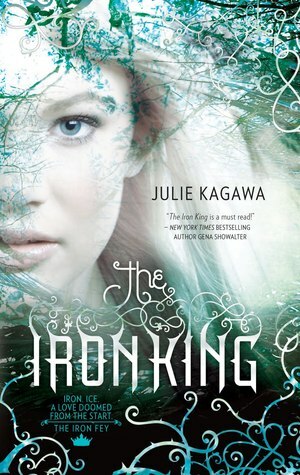 Julie Kagawa writes of the Fey world in her novel, The Iron King, a book I wish I would have known about years ago. After spotting it at the library, I wondered why I had never read it. The novel that opens the Iron Fey series is a portal to the land of mischief and secrets, where saying 'thank you' puts you in debt and everyone is quick to make a deal. Meghan Chase is the main character of this book and the series. She's a high school girl who only has one friend and is often at the receiving end of bullying and pranks. Readers will immediately sympathize with her outcast label. Then, suddenly, Meghan's little brother is kidnapped and replaced by a changeling which leads Meghan to a familial revelation: she's the daughter of King Oberon of the Fey. Readers then bear witness as Meghan learns to be self-sufficient, strong, brave, and determined. Her loyalty is truly astonishing but is most often her downfall in the novel. The characteristics that Meghan has make her easy to relate to and give her a dimensional fluidity that allows her to reach the audience on a deeper level. The Iron King begins with the veil between Meghan and the Fey world slowly lowering. As she celebrates (or mourns) her sixteenth birthday, all is revealed. Then with Ethan's kidnapping, Meghan becomes determined to traverse the Fey world until she finds him and returns him to the human world safely. With the level of danger in the Fey world, the journey becomes a trial of Meghan's love and loyalty, faith and strength. I wasn't able to put it down until the last battle. And now, my fingers are itching to hold the second book and continue the adventure.